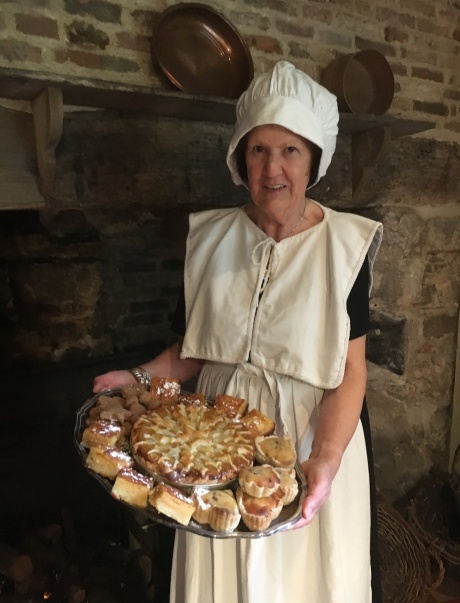 Join Nora Gardner, aka The Hungry Roundhead, our local guide and food historian to learn about the flavours and ingredients of 17th Century cooking in England. Visit Mrs Cromwell's original kitchen to watch old recipes come to life and compare them to their more modern versions. Hear the stories behind them and of course taste the results! Easter was a time of joyous feasting in the 17th century, particularly after the fasting of Lent. Join The Hungry Roundhead to learn about the herbs and spices that were an essential and delicious part of Easter cuisine.